Mt. 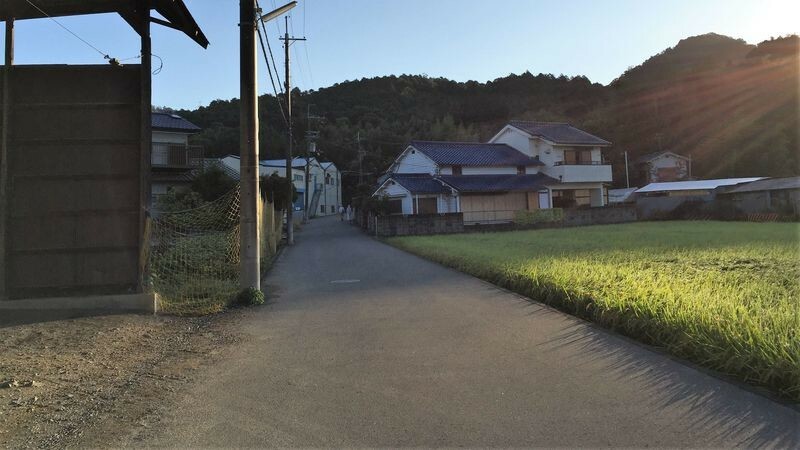 Ponpon is located on the border of Kyoto and Osaka, so it’s a nice chance to actually walk from Osaka to Kyoto, or vice versa. 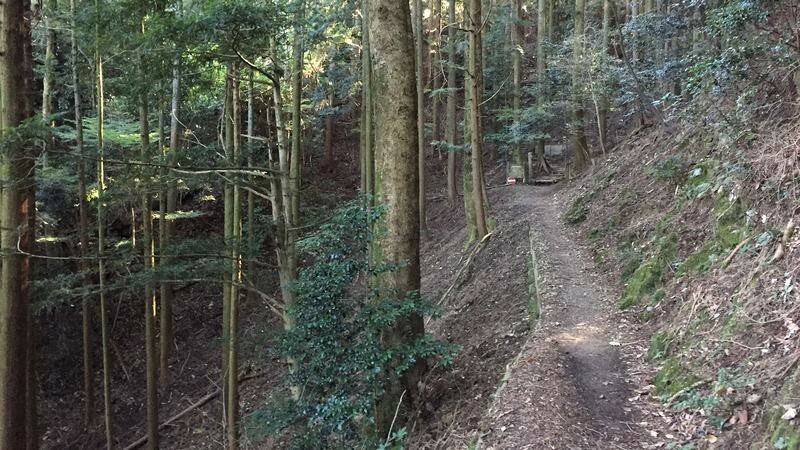 There are many great hiking routes in both Osaka and Kyoto, but the one on Mt. Ponpon (ポンポン山) lets you start in one and finish in the other. 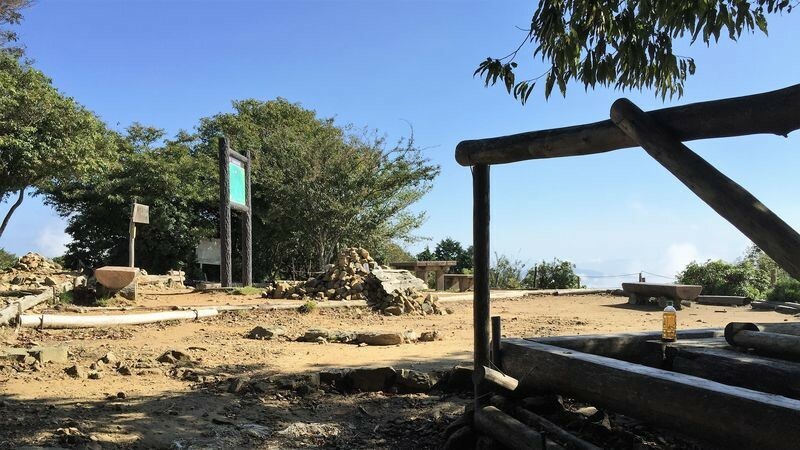 The height of the mountain is 678.7 meters, and the hike up to it surprisingly demanding, as you’re often going back down again after going up as the route snakes around the mountain range. The hike up Mt. 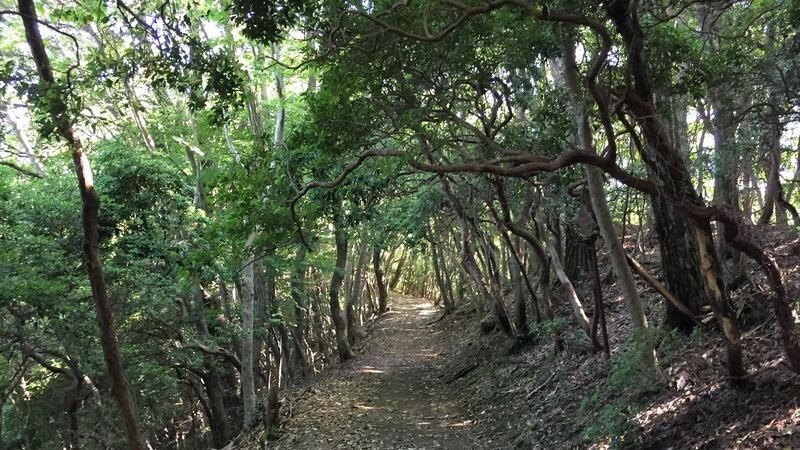 Ponpon is also a nice chance to walk on the Tokai Nature Trail which is a 1,697-kilometer walkway from Osaka all the way to Tokyo. The difficult part here is getting to the mountain. 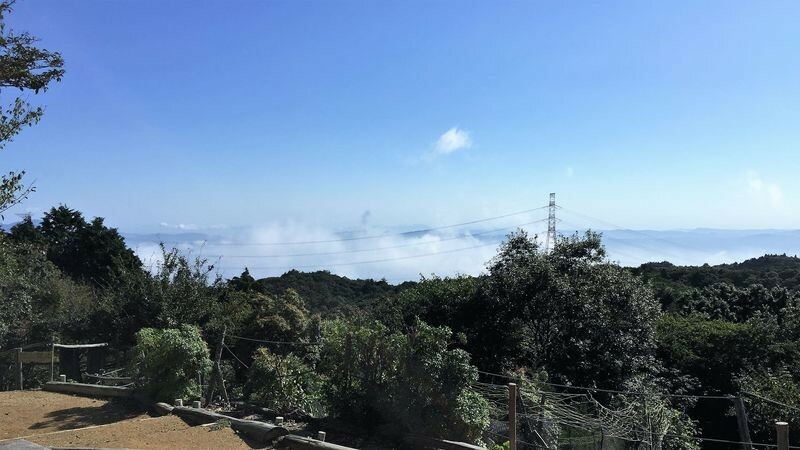 If you start from the Osaka side, from Takatsuki, you can get a bus from JR Takatsuki Station to Kabusanguchi bus stop. Which is precisely what I did. The earliest bus (number 53, but you can also take Takatsuki city buses n. 60 and 61 to Kabusanguchi) leaves at 6:28 a.m. which is the one I took. The bus ride takes around 15 minutes, and after this you’re left in a place that is surrounded by rice fields. There are no convenience stores here, but there is a vending machine right by the bus stop. The vending machine looks to be quite old so I recommend buying bringing your own drinks. Then you hike up the road and see this sign saying Mt. Ponpon on it. This is where the real hiking starts. 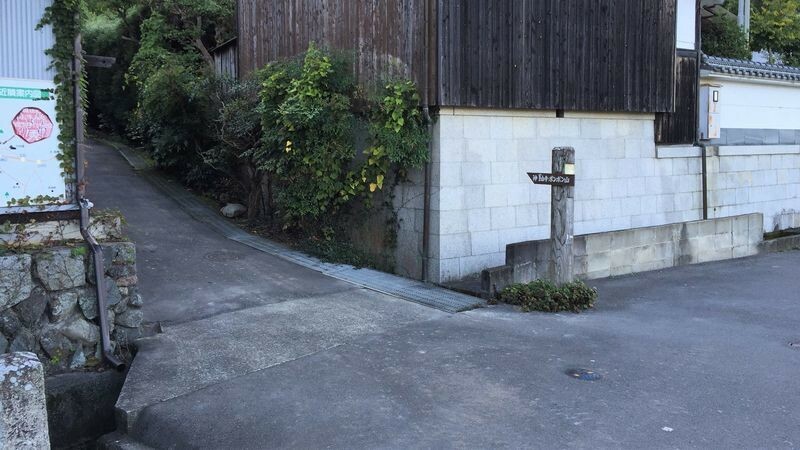 The entrance may not be that easy to notice but there’s also a map on the left side of it. 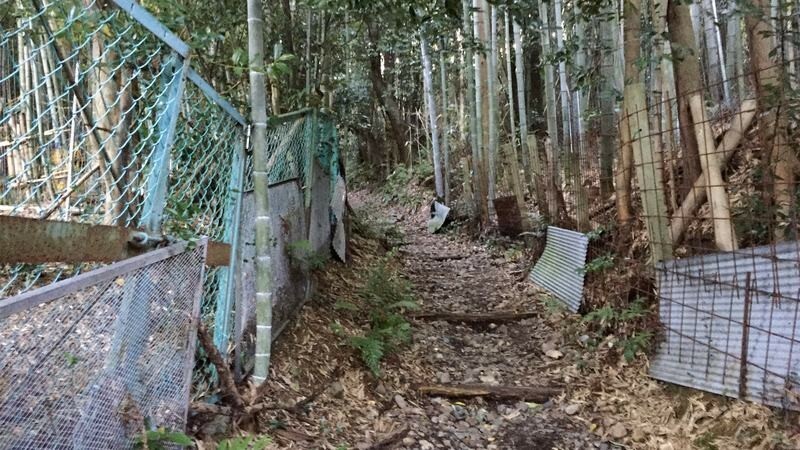 This gate may not seem very welcoming, but it’s there only to keep the wildlife on the other side. Keep on going. This is what it looks like on the other side of the gate. The terrain is still pretty easy to walk on. 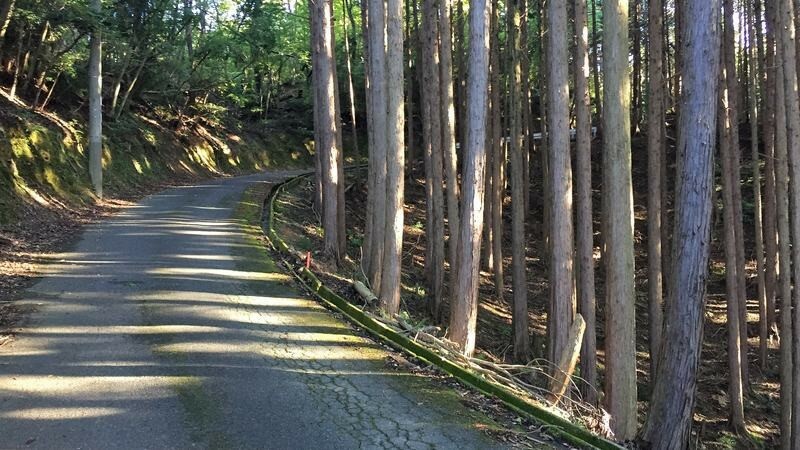 Then the path takes you to a paved road leading up to Kabusan-ji Temple. 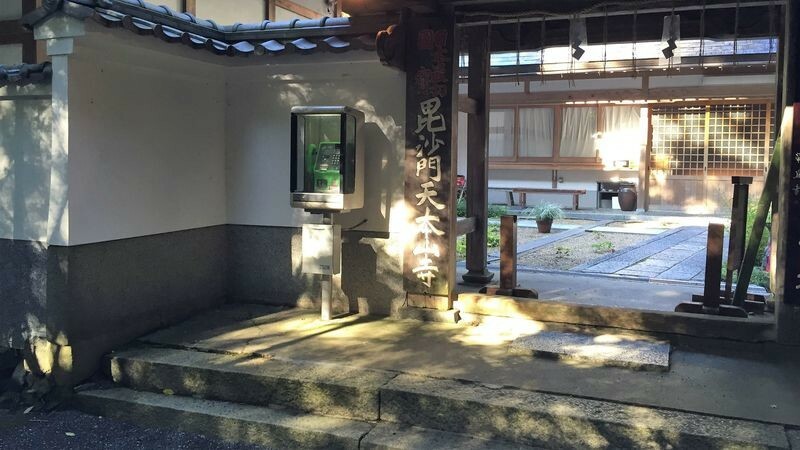 When you get to Kobusan-ji Temple, you’re greeted on your left side by a rather unusual thing: a phone booth! Unfortunately, it was full of wasps so be careful if you’re going to use it. There were also toilets here. 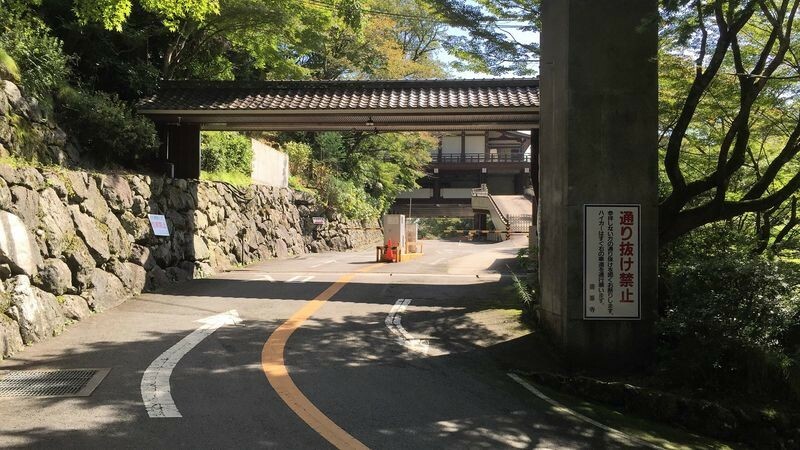 Here you can choose to take the road on the right and continue climbing, or you can go see Kobusan-ji Temple. The temple is not that huge, but it’s surrounded by nature so it’s pretty. It should be exceptional during the autumn leaves season. A surprise at 7:30 a.m. 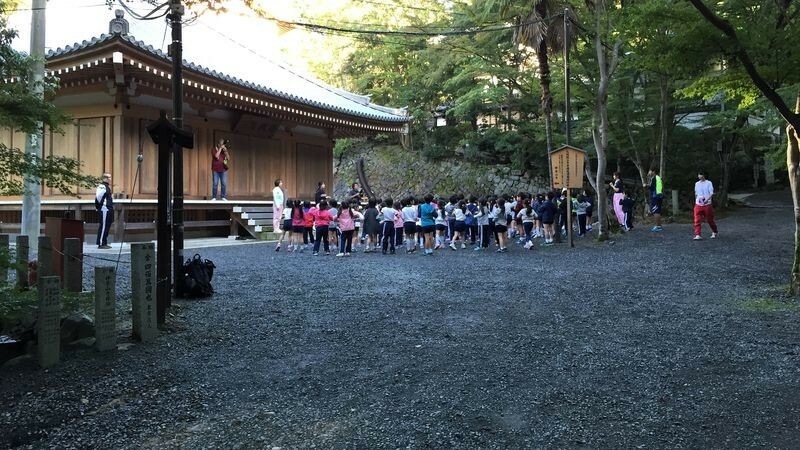 Elementary school kids at the temple! It must be an unforgettable experience to get to stay at a temple when you’re 7-years old. 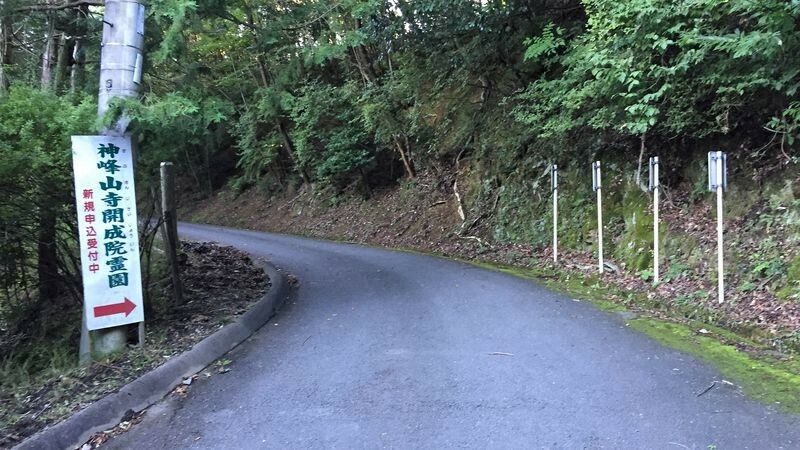 Then to continue, take the rightmost road up the mountain. You also get signs telling you you’re heading for a graveyard, but this is the right way. When you go past the graveyard, you should get to see this car hood with some words painted on it. 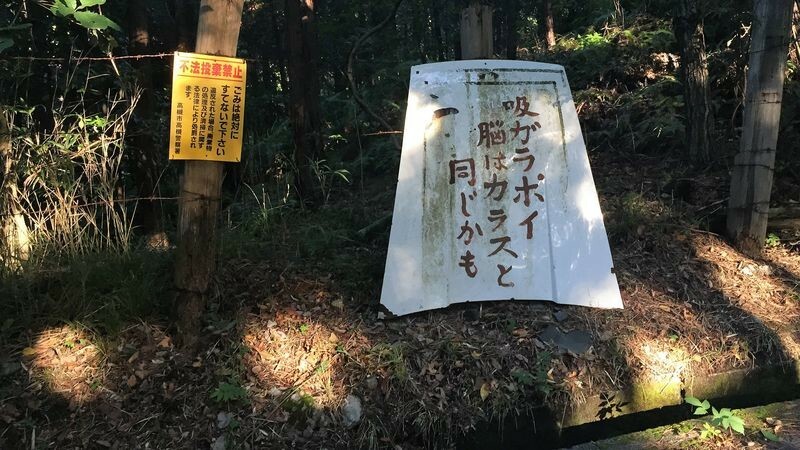 It says “Those who throw away cigarette stubs have crow-brains." Well-said, you shouldn’t do that, especially when you’re hiking. 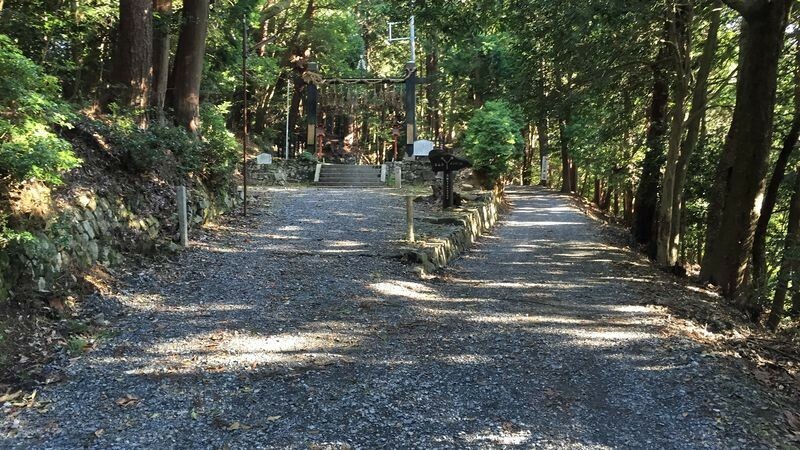 On the hiking path you can also find some Jizo-statues. 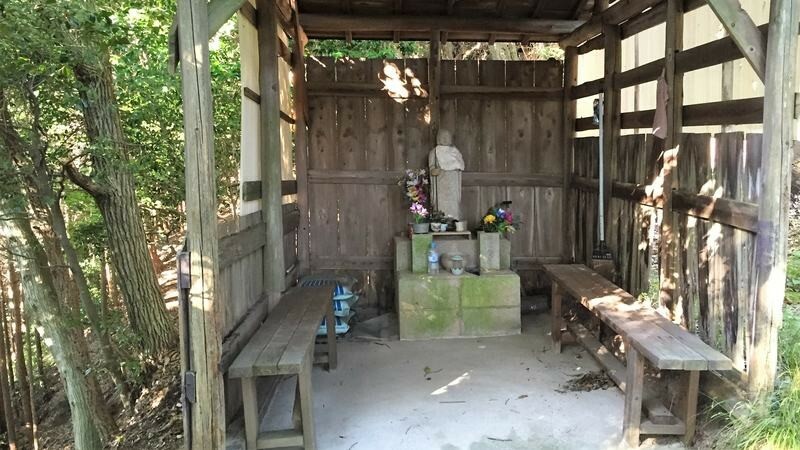 It’s said that Jizo Bosatsu will keep walking on the earth until everyone on it is saved, which is why Jizo-statues can be seen all over Japan, often in unlikely places. 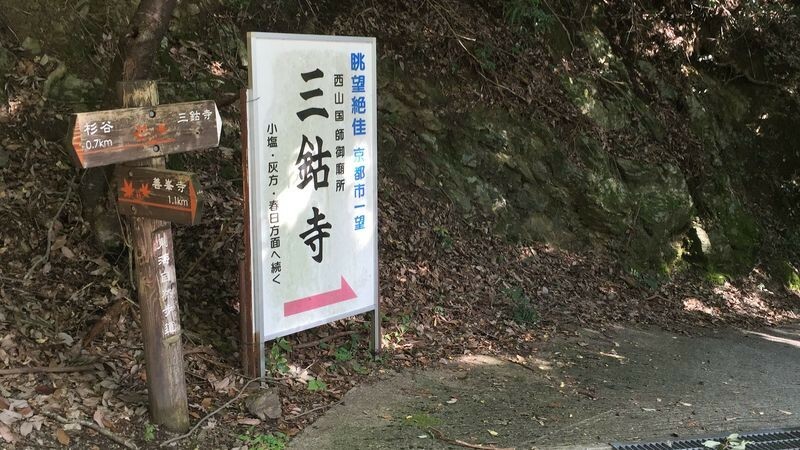 After hiking for 1.5 to 2 hours, you get to Honzan-ji Temple. Here you can choose to go see the temple, or go right and bypass it. 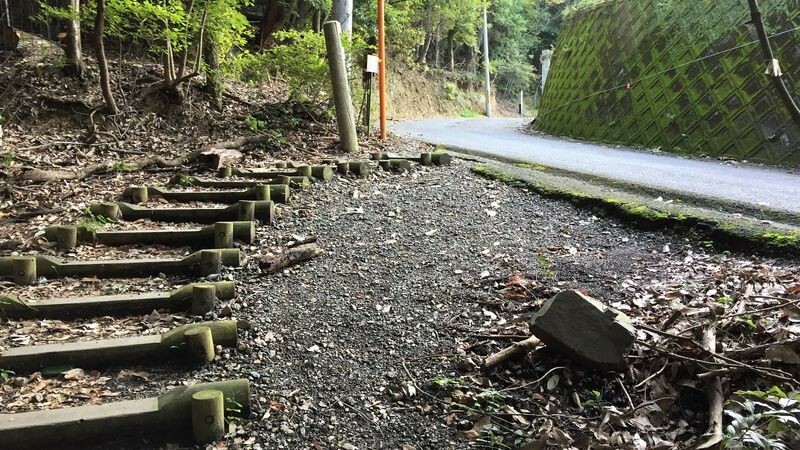 I chose to go see the temple, although the route that bypasses it is easier to walk on. The temple is surprisingly big for the location, and it has a nice bell tower, behind of which you can find toilets. 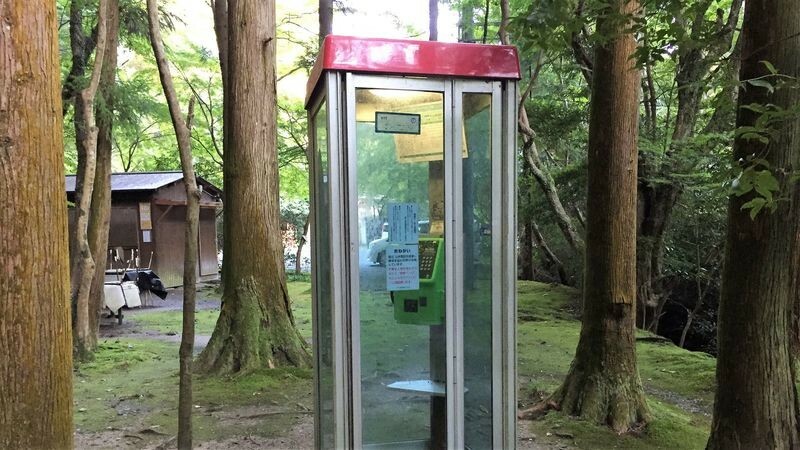 They even have a public phone! This is nice if there’s an accident, as you often don’t have reception here. The path continues from the temple, but you have to pay attention. 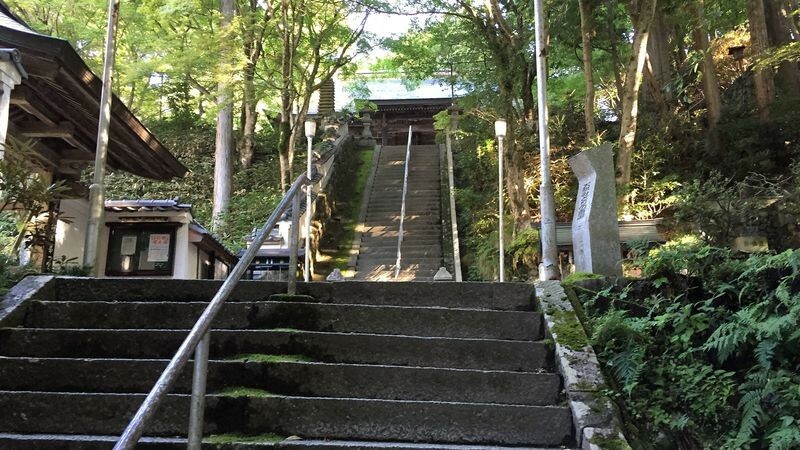 It actually continues from behind the main hall of the temple which is located on the top of the stairs (not the building with the public phone). 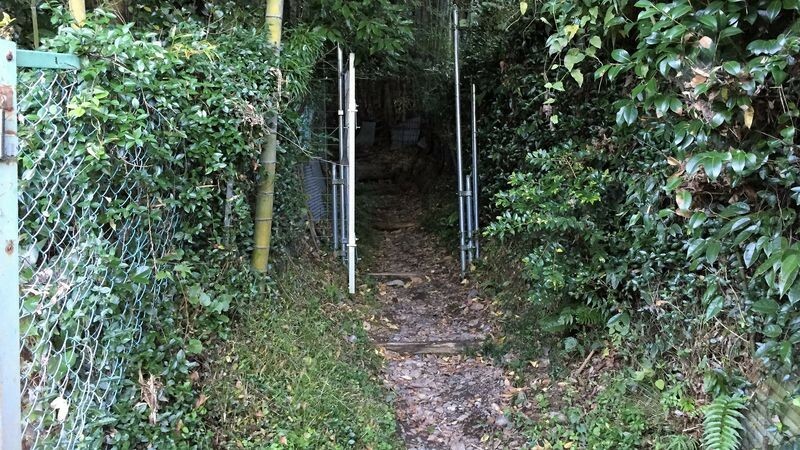 The path gets extremely narrow here so you need to be careful. 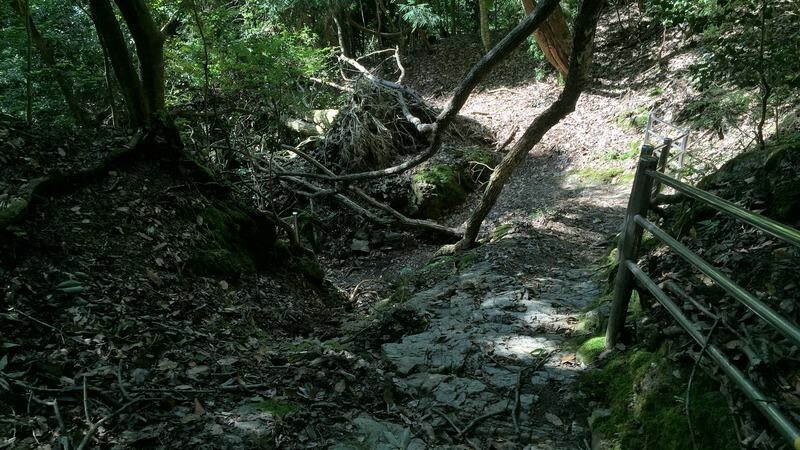 If it has rained recently it may be a better idea to take the other path. This is where the two paths meet. So keep going left toward Mt. Ponpon. 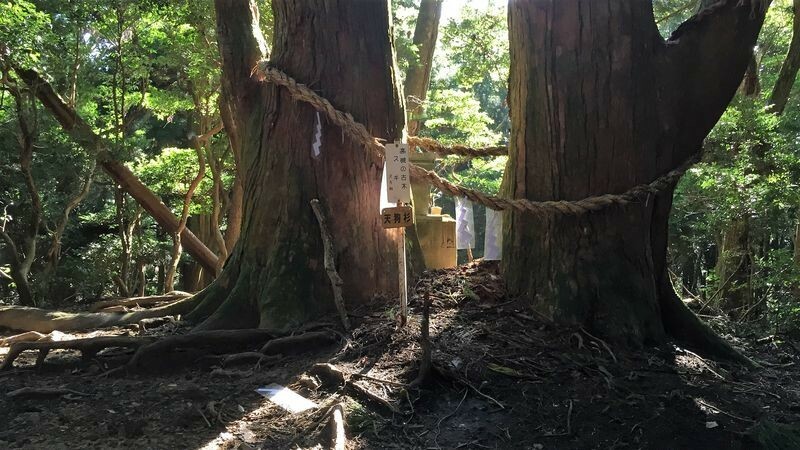 After walking for a while, you get to these two huge ancient trees called the Tengu trees, named after the supernatural beings that come up in Japanese folklore. Next major spot is the top of Mt. 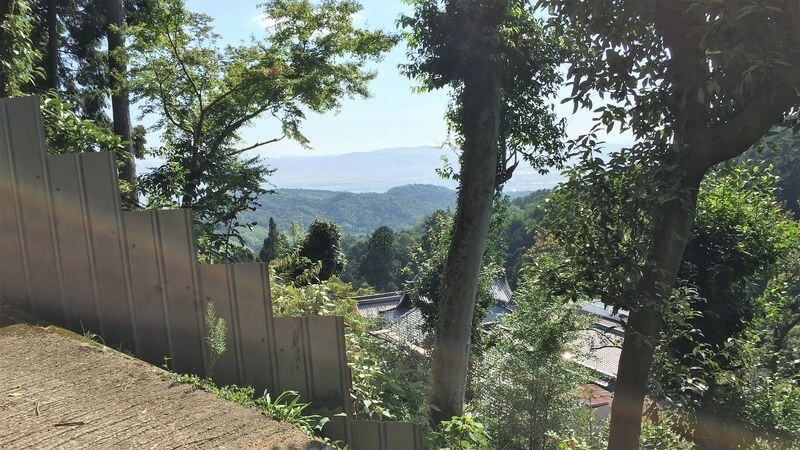 Ponpon, from where you get a really nice view of Kyoto and Takatsuki down below you. It’s said that if you jump here it makes a sound like “ponpon.” Hence the name of the mountain. I’m didn’t hear anything like that when I jumped, but some people swear they can hear it. The view is delightful and there are even benches to sit, so this is the perfect place to have your lunch. The route from the top of the mountain to the next major spot on the way, the little Sugiraku Village, is not as easy to walk as the route to the mountaintop from Kabusan-ji Temple. So those who are not feeling confident here should turn back. From here on the going gets really rough, but luckily you have steel railings to hold on to. Even with the railings you still have to be careful as some places may be slippery. 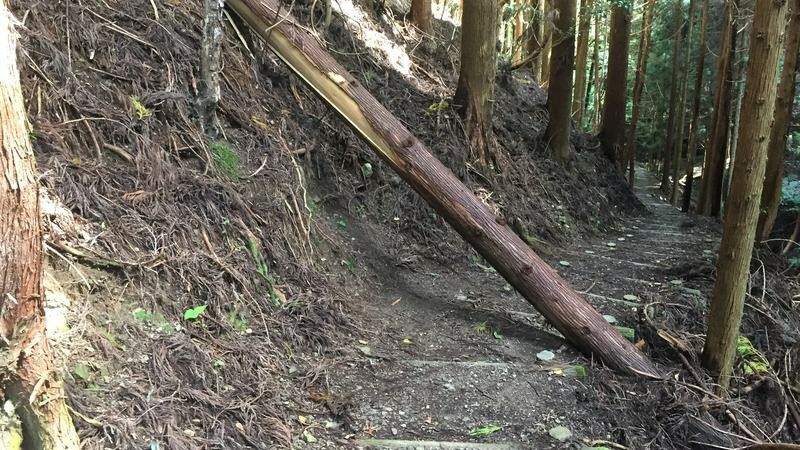 When I hiked this route, there was also a fallen tree blocking the path. At least hiking here is not too boring. 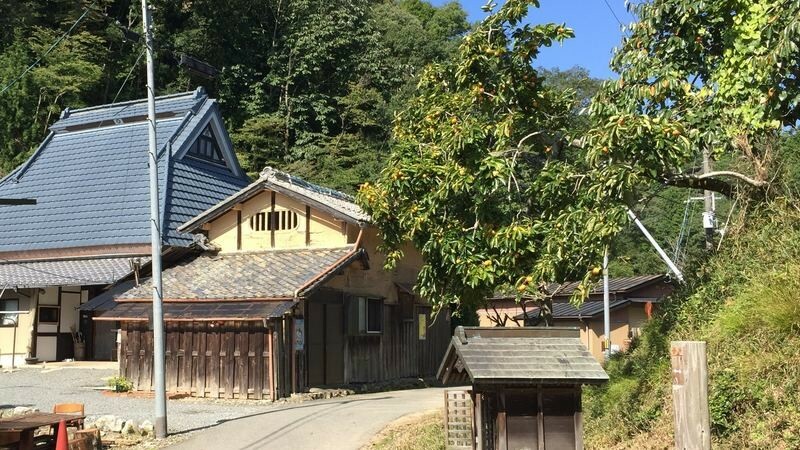 The village is idyllic, rustic Japan at its best. Living here would be great if it didn’t take an hour by car to get to the closest supermarket. After the village, you also get the option to go to Sanko-ji Temple, a small simple temple with a beautiful garden. 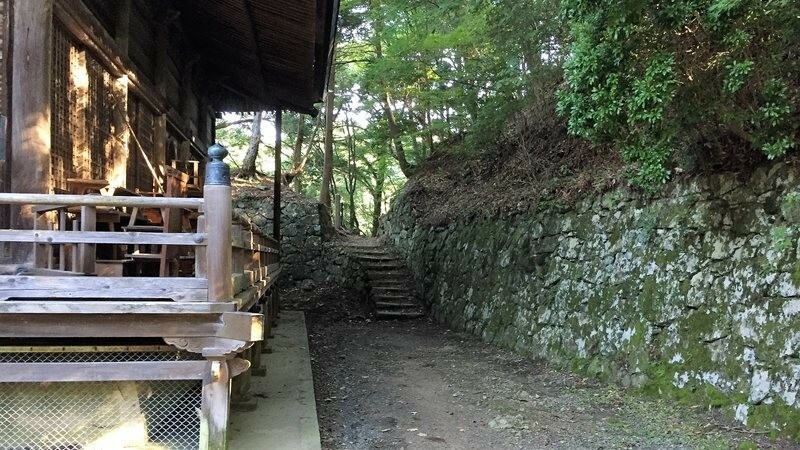 It’s also really nice during autumn leaves, and since it’s hard to access, you won’t have to worry about the crowds. 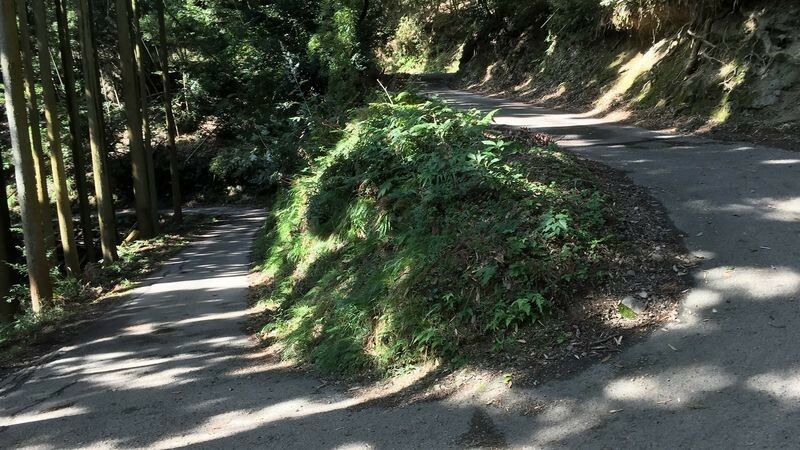 But I kept going on, down the winding road that seemed to go on forever. The views from here are spectacular so it doesn’t feel that bad. 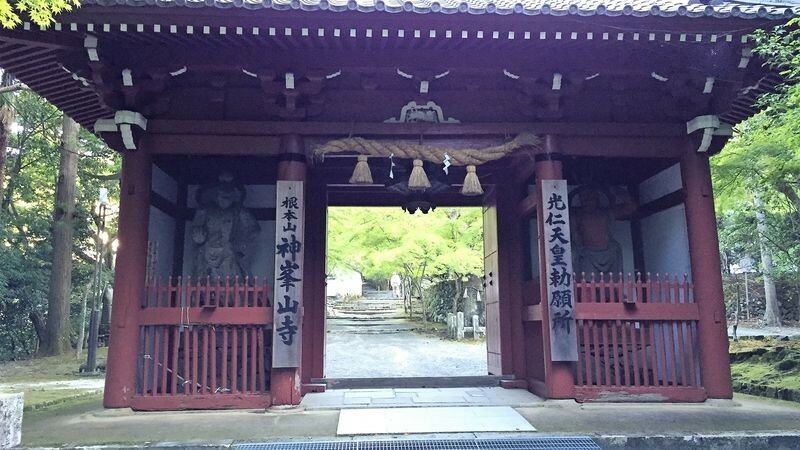 Once you get to this place, Yoshimine Temple, you’re almost there. The bus leaves just down the road from here, but note that you have to wait an hour if you miss your bus. Unfortunately, I didn’t have time to go to Yoshimine Temple, so that’s for next time. 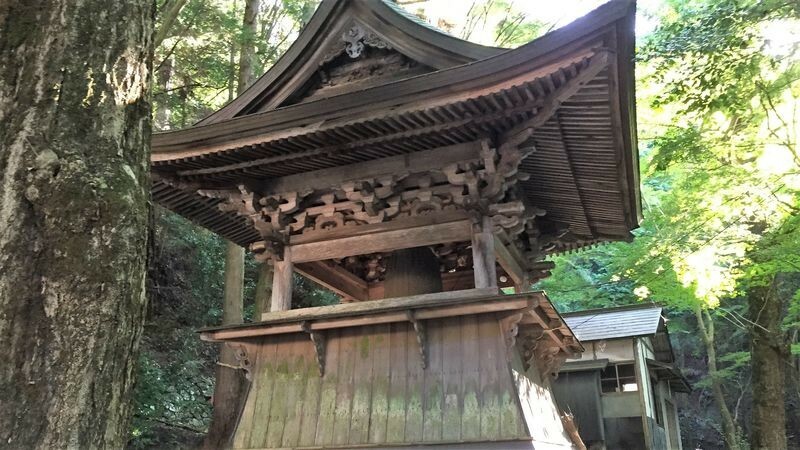 Yoshimine Temple is also famous for autumn leaves. So from here, I took the bus down. The bus had, besides the driver, a “spotter” who looked out in the front if there were any cars or people coming up the road (the roads here are almost too narrow for buses). The closest train station is Hankyu Higashi-Muko, where you can go to the shopping mall famous for its spicy restaurants. 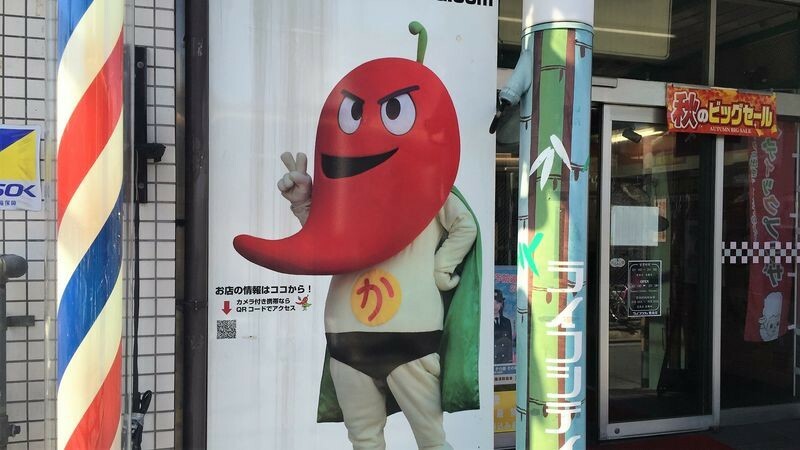 The shopping center even has a character for it, of course with a chili for its head. 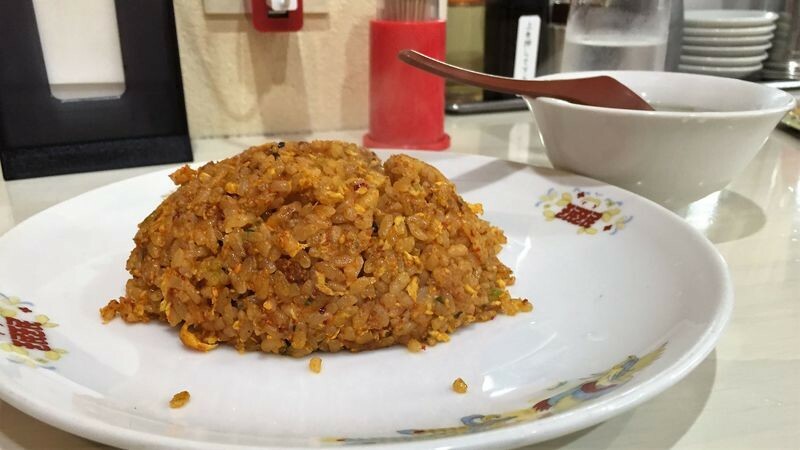 After a morning of hiking, nothing beats a nice plateful of fried rice. This was the hottest fried rice I’ve ever had, and it was only level three on their 10-level system. The restaurant’s called Minmin, in case you’re going to Higashi-Muko. I started this journey at 6:28 a.m. from Takatsuki Station, and finished in Higashi-Muko at around 11:40 a.m. After that, I had the fried rice. 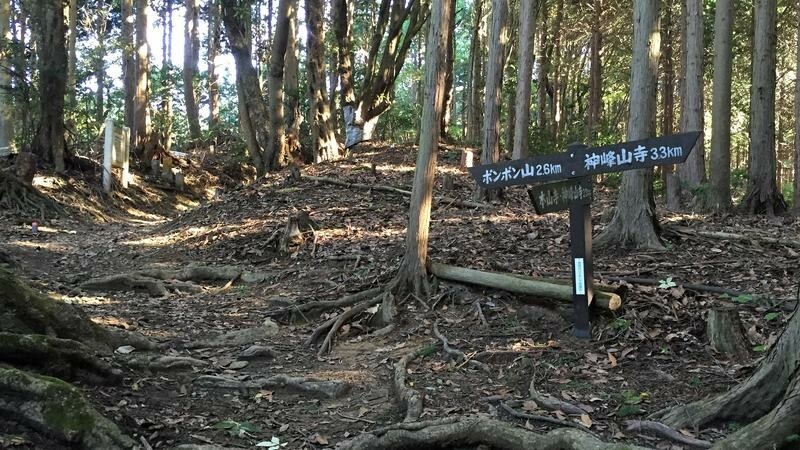 So you don’t need a whole day to do this hike, but it’s not as easy as say going to the Mino waterfall in Osaka. Still, it was a fun hike I’d like to do again some other day.